I woke up to the boat rolling heavily. A quick check of the AIS screen confirmed my suspicion: a cruise ship had just passed us at 16 knots. 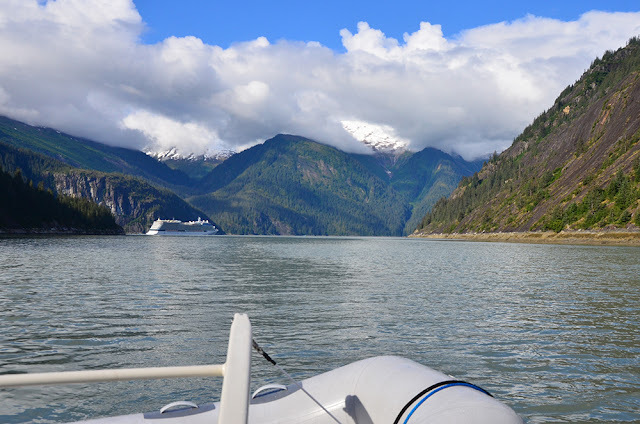 Cruise ship passing "Endicott Arm Cove"
After breakfast we headed for Tracy Arm Cove. Another calm day, even some sunshine. Soon after departing a couple of tour boats made big course changes towards shore, then throttled down. 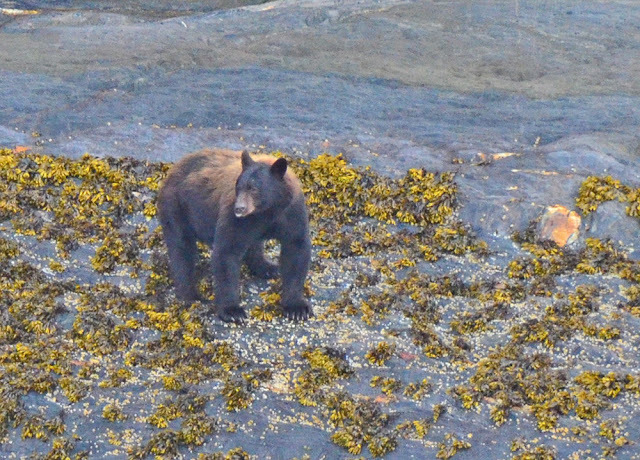 I could see passengers looking toward shore and figured they were watching a bear. As we got closer we saw the bear, too. Good thing, since Brendan and Maddie hadn’t yet seen a bear. 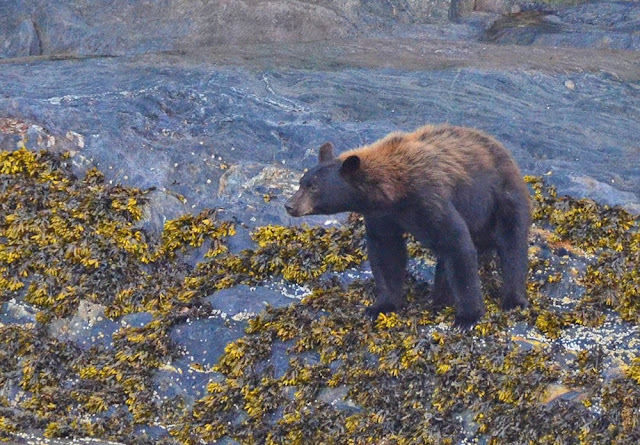 The rest of the trip out to Tracy Arm Cove was uneventful. Not much traffic or ice, and thankfully, the shifter and transmission worked perfectly!